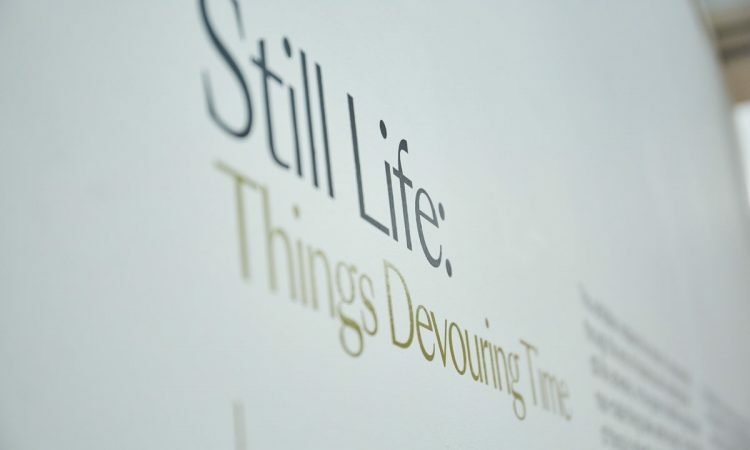 Still Life: Things Devouring Time at the Audrey and Stanley Burton Gallery proved an education. Still life is an artistic genre I’d previously not really appreciated, but this ongoing exhibition’s powerful message about consumerism knocked me for six. The work of four artists, all the pieces in the exhibition complement one another, but each has its own distinctive story of foreboding to tell. Simon Ward uses simple concepts to force viewers to actually pay attention and heed the warnings invoked: in Ghost in the Machine Series (2013) he vandalises Kindles revealing the mortality of technology; in Signs (2018) he demands you take note of the surface, but what also lies beneath. Dawn Woolley’s Memorials (2016) is where decay meets haute-1980’s tackiness, while Relics (2017) is a necessary exercise in blasphemy that exposes human hypocrisy. What surprised me is that through humour and unapologetic vulgarity, these works can both appeal to, and satirise, the sort of mass-produced aesthetics more typically associated with value and importance. Caroline McCarthy’s work was probably the exhibition highlight for me, despite presenting two concepts I’d usually scoff at. I was humbled by Vanitas (2007) and Humbrol (2009). To my naïve eyes they seemed mundane and unremarkable, but there is much more to them than that and I was obliged to check my own assumptions of value. 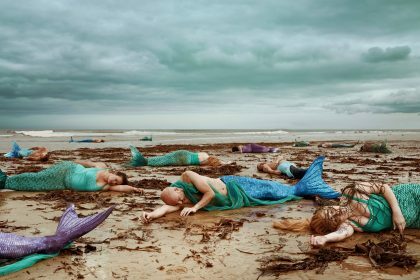 Finally, Nicole Keeley’s work, Tidemark (2017) was perhaps the most haunting of all. Created out of man-made detritus washed up on Britain’s beaches, her spectres levitate in isolation. Suspended in their brightly lit tanks, they are eternal ghouls who threaten as much as they stun. The exhibition is nearing its end, so make sure you let Ward, Woolley, McCarthy and Keeley move (and horrify) you within the sympathetic, safe and still confines of the gallery. A longer version of this piece can be found on Nathalie’s Bradfordian Forwardian blog here.